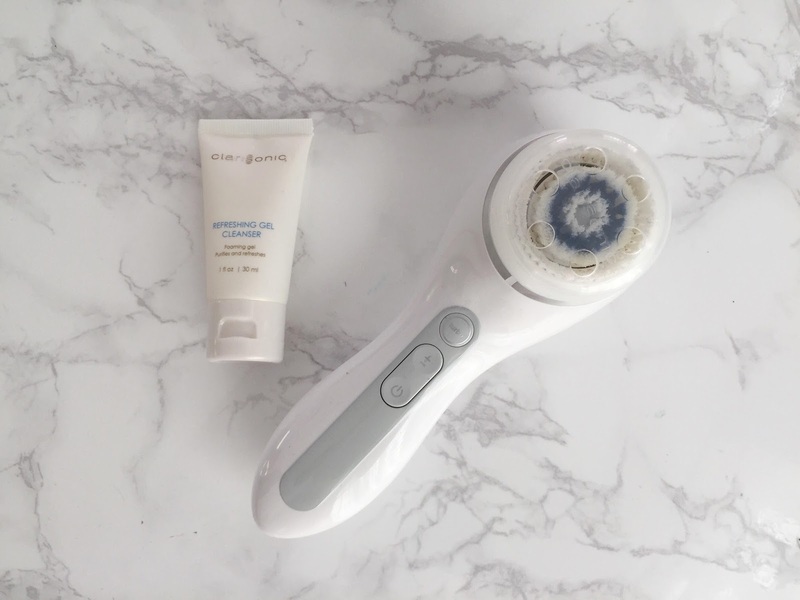 After almost 3 months of owning the Clarisonic Smart Profile, I am now able to give you a holistic, unbiased and definitely based on experience review on this facial cleansing device. It really doesn’t save much money because I still need to purchase the brush head at RM100+ each month. A convenient tool for me to use during shower. The Clarisonic device looks so convenient and most of their promotion materials make it as if it is so easy to use. The truth is, it isn’t “that” convenient. First of all, it takes 6 hours to fully charge the device. I don’t understand that, especially my phone takes lesser time to charge. After all that hassle, it takes 2 weeks to run out of battery. It’s a puzzle to me how a device so small and takes less than 5 minutes to operate per day can run out of power that fast. And I can’t even put it in the bathroom because it breeds mold and bacteria. Each time after I use it, I will need to remove it from the bathroom and vice versa. Whenever I am using it, the facial wash gets into my eyes if the brush gets too wet. Removes impurities from my pores. For cleansing, I would give two thumbs up. It really does remove impurities from inside out of my skin. Initially there was a little break outs, but I understand that those breakouts are caused of the impurities that trapped inside my skin. After a month, my skin is clear with some visible scars from old breakouts. Minimize pore appearance on my skin. I don’t see any improvement in this area. However, I believe it will take a long time to see improvement (we’re talking about years). The good thing is, I get the first step right in this – clear off all the dirty stuff off my pores every night. To stop using facial scrub entirely – saving money and avoid harmful scrubbing agents that might cut my skin. I agree that I’ve stopped using facial scrub entirely. It also buffs my skin lightly on a daily basis, so there’s no dead skin cells or black heads/white heads on the surface. Also, I’m glad it helps me in this because scrub is actually harmful to the skin if you don’t know what type of scrub suits you most. The SmartProfile features able to assist me in my cleaning efficiently. Nope! The SmartProfile feature is probably a “nice to have” factor. It really doesn’t assist me in anyway. The SmartProfile is build based on a general assumption that we need extra cleaning on the forehead and nose area. In fact, everyone have a different preference. As for me, I find that cleaning the cheek is just as important to me, as cleaning the nose bridge. A lot of people suggested that I should just turn off the SmartProfile mode and use the manual mode if I have my own cleaning preference, well then, why do I purchase the SmartProfile to begin with? I could have gotten the other Clarisonic which is just as good without the SmartProfile feature. The added feature for Body is an additional benefit. I only use the body feature once and that’s it. It is troublesome to keep changing the brush for different usage. Nope, I don’t think this is a good thing to have, especially for those who are looking for convenience in this device. Overall, I think that this device is a device that is "nice to have" and not a "must to have". In terms of return of investment, this is not the golden investment item that I can recommend to you. However, I think the other Clarisonic devices are in fact a better investment, such as Alpha or Mia. And I believe other cleansing device is also workable.